The issue of religious freedom vs. separation of church and state is always dicey and sports is not immune. A growing number of MLB, NBA, NHL and NFL clubs are offering Christian, Jewish and Mormon nights. But a national Muslim advocacy group doesn’t think it’s appropriate for teams to mix religion and sports. If sports teams are going do it, then the Council on American-Islamic Relations (CAIR) wants equal time for other religions. 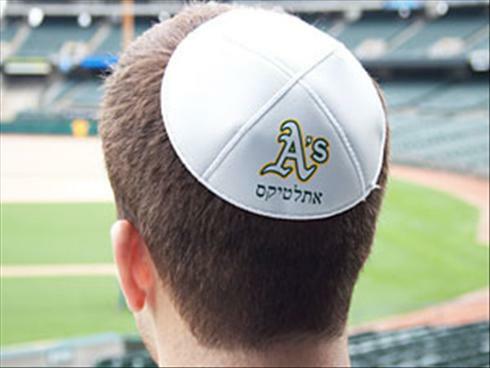 The Oakland A’s, for example, will hold their first Jewish Heritage Night against the Los Angels May 17. Attendees get an A’s yarmulke and a seat in the plaza infield section for $26. On Sunday, the NBA’s Golden State Warriors will hold their first Jewish Heritage night, including a Q&A with Israeli basketball player Omri Casspi, Jewish music and kosher barbecue. The 2010 World Series Champion San Francisco Giants are planning Fellowship (Christian), Jewish and LDS (Mormon) days among various ethnic heritage promotions this season. Steve Fanelli of the A’s says pro sports teams are offering religious-themed nights to move group ticket sales and because religious groups in their community approach them. “Beyond religion it’s the same philosophy for any theme day: give fans a chance to enjoy baseball with their group and get together in an environment they may not otherwise choose to,” Fanelli says.